Navigating the Loan Modification Process - Tips for Success. Navigating the loan modification process can be difficult, and the biggest mistake you can make is ignoring the rules. Although your foreclosure defense attorney does the negotiating, it helps to be informed. You and your foreclosure defense attorney are dealing with lenders, so you still have to play by their rules. Here’s a list of loan modification “do’s and dont’s” to help you avoid pitfalls, and best navigate the loan modification process. Whether you hire a foreclosure defense attorney or attempt negotiations yourself, these tips can help you. 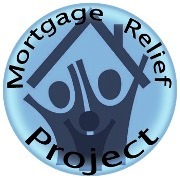 These days, there are many consumer protection laws that govern the foreclosure and mortgage mitigation processes. Unfortunately, many homeowners report violations of these laws during the loan modification process. However, these violations can give your foreclosure defense attorney the legal leverage to stop the foreclosure process, and negotiate a loan modification or foreclosure alternative. This is why an experienced foreclosure defense attorney is in the best position to get you the best results. The foreclosure process is designed to give you an opportunity to save your home. However, that doesn’t mean it’s safe to procrastinate. The longer you wait, the harder it becomes for a foreclosure defense attorney to assist you with stopping the foreclosure process. A delinquency becomes more costly to a lender each day. Consequently, their willingness to stop the foreclosure process and accept a loan modification or foreclosure alternative diminishes. The moment you foresee difficulties with your mortgage, call a foreclosure defense attorney, find out your options, and get the process started. In addition to your lender or your loan modification attorney, it is imperative that you do your part and work closely with your foreclosure defense attorney. Make sure to submit your paperwork on time, answer questions honestly, and give your foreclosure defense attorney a clear picture of your financial situation. Many programs have strict deadlines for document submission, and missing a deadline can disqualify you. Many people think that filing for bankruptcy can help them stop a foreclosure. Well it can, but sometimes only temporarily. Regardless, a bankruptcy is the appropriate solution for some homeowners. In some cases, a bankruptcy can help you negotiate with your lender as well. Bankruptcy is a useful tool to buy time in cases with an imminent sale date. It can give you enough time to address the mortgage and stay in your home. Consulting a bankruptcy attorney is the best way to know if bankruptcy is right for you. Not everyone will qualify for loan modification. Maybe you’ve fallen too far behind, your lender is too difficult to work with, or you don’t need it after all. Regardless, it’s always wise to have a backup plan. Your foreclosure defense attorney can also help you with foreclosure alternatives like a short sale or deed-in-lieu of foreclosure. A good foreclosure defense attorney knows how to keep these options open for you through the negotiation process. Foreclosure alternatives control the damage to your future by stopping the foreclosure process and creating a smooth transition. You may also be able to prevent a “deficiency judgment” against you that sometimes results from a foreclosure.